The Progressive People’s Party on Friday, 29 March 2019 through a Press Release applauded government and its Executives for taking a bold step to pass the Right to Information Bill (RTI) into law. Parliament on Tuesday, March 26, 2019, finally passed the RTI Bill into law pending Presidential accent after spending close to two decades in the house. The Bill was passed following the completion of its consideration stage after several policy changes, amendments and months of rigorous debates on the Floor of the House. 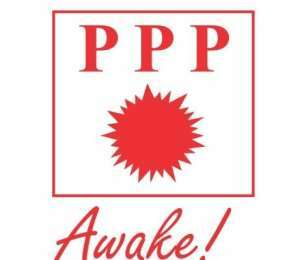 In the Press Release from the PPP signed by their National Secretary Murtala Mohammed, they say they commend the government for ensuring that the age-old bill sees the light of day. “The Progressive People’s Party will like to applaud Parliament of Ghana for passing the Right to Information Bill into Law albeit with few lacunas. We further applaud the boldness of the Executives in finally accepting the challenge to pass this bill into law during their tenure of office, a novelty other regimes could not do. Individuals, media houses, civil societies and other groups that campaign vigorously for 22 years to get this bill passed must equally be commended”, a portion of the statement said. The Party believes the Law will bring about transparency in all government dealings and offer the citizenry the opportunity to monitor government policy and project from the beginning to end. Hence they have implored the Attorney General to immediately work on the Legislative Instrument (LI) that will aid the successful implementation of the law. The Progressive People’s Party will like to applaud Parliament of Ghana for passing the Right to Information Bill into Law albeit with few lacunas. We further applaud the boldness of the Executives in finally accepting the challenge to pass this bill into law during their tenure of office, a novelty other regimes could not do. Individuals, media houses, civil societies and other groups that campaign vigorously for 22 years to get this bill passed must equally be commended. We implore the Attorney General to immediately work on the Legislative Instrument (LI) that will aid the successful implementation of the law. This Law will bring about transparency in all government dealings and offer the citizenry the opportunity to monitor government policy and project from the beginning to end. It will also help curtail corruption and nepotism in the public sector. The media and people of Ghana and must take advantage of this law and turn it into sunshine in government deals and agreement for the benefit of all. As we applaud the government for a good job done, we caution the government not to engage in delay tactics regarding the Legislative Instrument that will make this law functional.